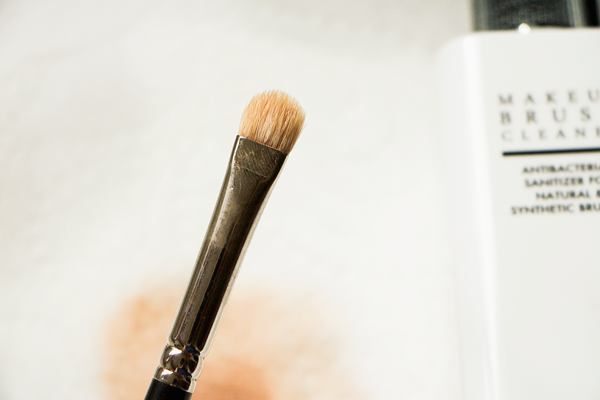 Spot cleaning your brushes is the quick & easy method. 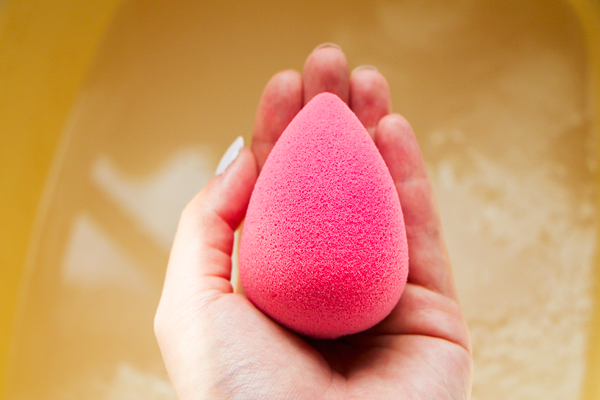 It works best on smaller tools like eyeshadow brushes. 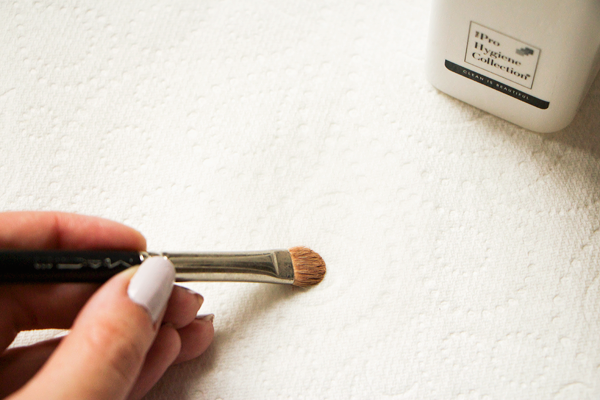 If you're lacking in the blending brush department & need to blend out your eye makeup with a clean brush then a spot cleanser is a great solution. There's plenty of these products on the market. 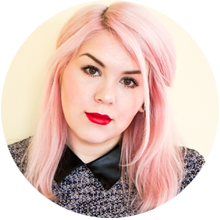 Depending on your budget ELF, No7, Clinique & MAC's offerings are all good options. 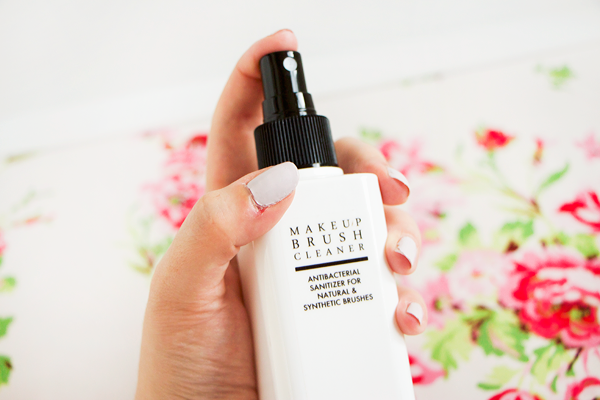 My current fave has to be The Pro Makeup Shop Hygiene Collection Makeup Brush Cleaner. It gets things clean in a flash but is still fairly cheap. To spot clean my brushes I simply spritz the cleanser onto some kitchen roll or directly onto the brush bristles & gently swirl my brushes in the product until all traces of makeup have been removed. A couple of minutes later my brushes are perfectly clean, dry & ready to use again. 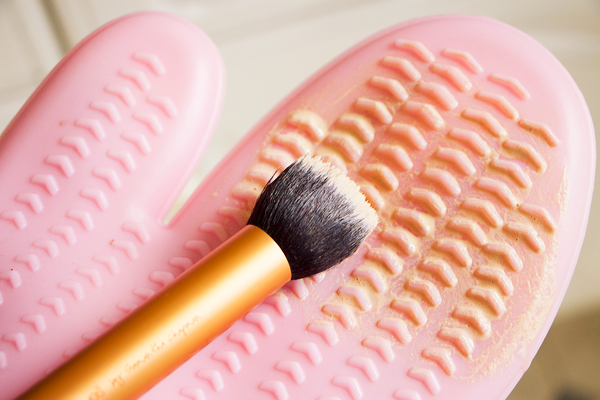 Spot cleansers tend to be quite alcohol heavy which can dry out & damage natural bristle brushes. They won't fully remove every trace of foundation either. That's why a deep cleanse is still needed. But if you want to temporarily make things a little less yucky then this method will keep everything sanitary enough to use. 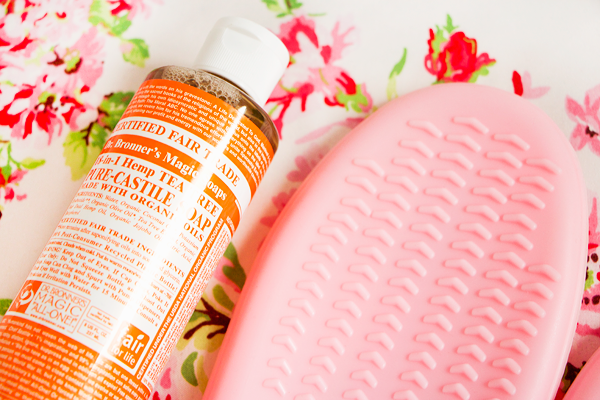 For a deep cleanse you can't beat Dr Bronner's soaps. The reason I recommend these over Fairy Liquid or regular bar soap is because they contain nourishing oils such as coconut, olive, hemp seed & jojoba so they'll condition your brushes as well as cleansing them. They come in loads of different scents but I prefer the minty ones such as Tea Tree & Peppermint as they make everything smell really fresh. Tea Tree is a natural antiseptic too so it's a good choice for staving off blemish causing bacteria. 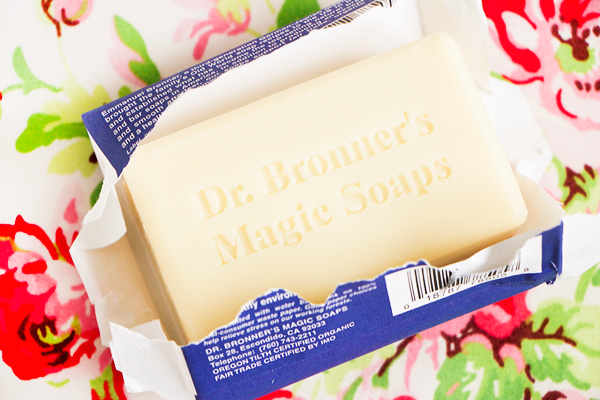 I really like both the liquid & solid soaps, it just depends which kind you prefer using. 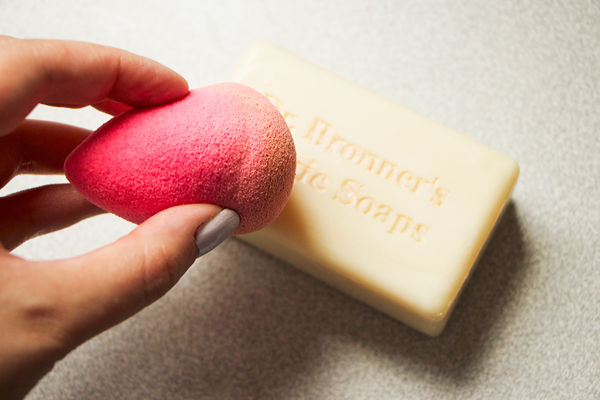 The liquid is better for bristle brushes and the solid one is better for sponges, powder puffs & densely packed brushes like the Sigma F80. I find that the solid one is a little less wasteful. A lot of people will tell you to swirl your makeup brushes on your hand to get them clean & this always dried out my hands. If you have as many makeup brushes as I do, washing them takes a long time & subsequently wrecks my hands! Last year Sigma came out with a fancy brush cleaning glove which seemed a bit gimmicky at the time but it really does help to remove all of the ground-in dirt from your brushes. Then some clever cloggs realised that you can buy a silicone oven glove that does exactly the same job for a mere fraction of the price! I picked up my one from eBay and it makes brush washing so much quicker & easier. The glove protects your hands & the ridges tackle the grime so I'd definitely recommend buying one of these. 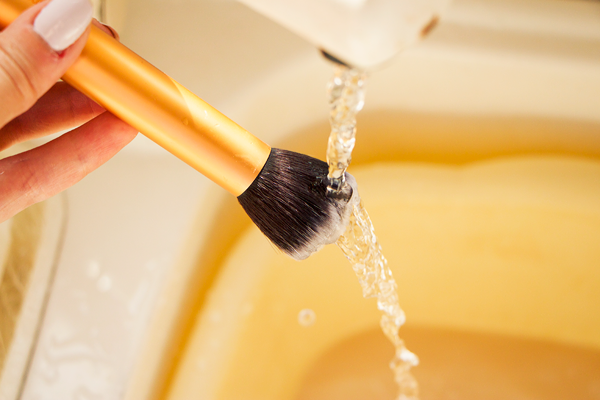 To give my brushes a deep clean first of all I wet each brush & swirl it in some of the liquid or solid soap. Then I rub it against the oven glove to lather it up. Rinse & repeat as required until all the makeup & soap has been completely washed away. Then just give the brush a final rinse under the tap being careful to hold the bristles facing downwards. I love this post, it's so handy! 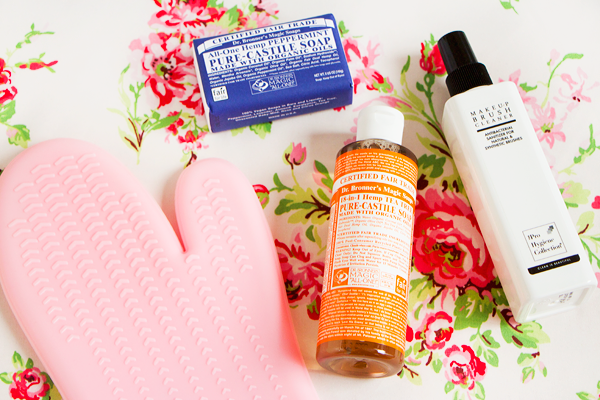 The glove sounds like a great idea, I just use Baby Shampoo monthly (or more often) to deep cleanse my brushes but the solid soap looks good, I think I might need to try it! I use Dr Bronners too! I try and deep clean mine once a week as I'm paranoid about germs and stuff. I really want one of those oven gloves to clean but my parents will think I've lost the plot if they see me with it hahaha! I use baby shampoo to deep clean mine but I also have the same silicone glove that I bought a couple of years ago as the Sigma one was far too expensive! I am a lazy girl when it comes to brush cleaning, but I know what difference it makes. I tend to like cleaning my brushes on a hot day so I can sit outside with a bowl of water then it makes it a bit of a tanning session at the same time! 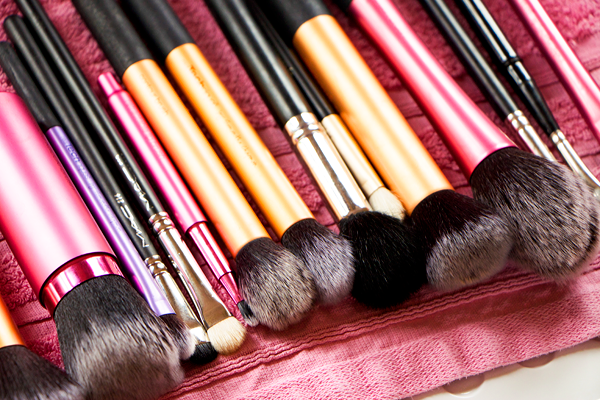 Thanks for sharing this, I've been looking for new products and ways to clean my brushes. These products look so good. I am definitely going to give them a try cause I am rubbish at cleaning my brushes. If you are familiar with the ancient art of henna painting and Simple mehndi design for left hand, you would know that Arabic mehndi is one of the most popular mehndi designs out there. Using henna dye to color and design beautiful shapes on one's body, Arabic mehndi is a temporary body art that is now well-known not only in the Middle East and the Arabic world, but also all across the globe!